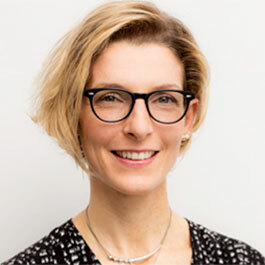 Francesca Casadio joined the Art Institute of Chicago (AIC) in July 2003 as the Museum's first A. W. Mellon Senior Conservation Scientist. At the AIC, she founded the scientific research laboratory and has been in charge of planning and carrying out scientific research on the collection. In January 2018 she was named the Grainger Executive Director of Conservation and Science. Francesca received her PhD and MS degrees in Chemistry from the University of Milan, Italy. She is also the founder and co-Director of the Northwestern University / Art Institute of Chicago Center for Scientific Studies in the Arts. Her research interests are the application and development of scientific methods to the study of works of art, often in collaboration with academics and international partners. She’s also passionate about communicating the work of conservators and scientists to the public and students, using traditional media, social media, in-gallery interpretive material and videos, and through Art+Science public programs aimed at K-12 students. Recent notable projects include research on John Singer Sargent’s watercolors, Gauguin’s graphic oeuvre, the metal alloys of Pablo Picasso’s sculptures, and the study of color change in Vincent van Gogh’s “The Bedroom”. Casadio has authored over 80 publications in the scientific and conservation literature, book chapters and essays in museum catalogs. She was the recipient of the L’Oréal Art and Science of Color Silver Prize in 2006.